Unlike residents of many foreign countries who wish to play online roulette and other casino games, who can choose from hundreds of online casinos that will take their action, American players are faced with the realization that their options are much more limited. Only two states (New Jersey and Delaware) currently offer legalized state-run online casinos (the Nevada sites are for poker only). Obviously, a big advantage to being able to play on a state regulated site is certainty about both the security of the site and fairness of the games. On the other hand, if you don’t have access to the state-run casinos, all you can do, if you want to play, is hope for the best elsewhere. Our experts at Onlineroulette.org can help you make the right choice. We have eliminated the guesswork by doing the research for you. This comprehensive review of Royal Ace Casino will tell you all about what this U.S. friendly casino has to offer. Royal Ace Casino was founded in 2009. It is owned and operated by Ace Revenue Group, which also owns and operates Planet 7 (reviewed separately), Silver Oak, Captain Jack, and Slots Madness Online Casinos. Not only is the Ace is the highest valued playing card; a Royal Flush is the rarest and highest ranked poker hand. So when you come across a casino that considers itself special enough to call itself Royal Ace, you know right away that there must be something different about this place that makes it stand out from all others. You’re curious, so you open up the home page where a few players’ big wins and even bigger progressive jackpots waiting to be won are prominently displayed. Obviously, if modesty were this casino’s strong suit, it would have never come up with the name “Royal Ace.” But we do have to give the owners credit for their confidence in the site. That confidence must be contagious because even players on a prolonged losing streak might suddenly be convinced that today they are going to win and this is the casino where it is going to happen. Like any other online casino, Royal Ace shines in some areas, while falling short in others. 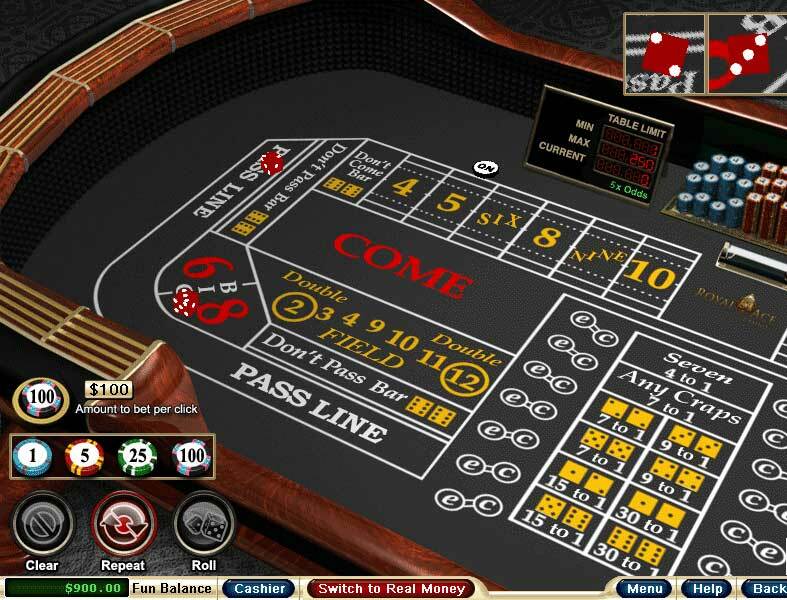 This casino’s best feature is its state-of-the-art software from Realtime Gaming (RTG). If you have played at any other online casinos, the RTG name is probably already familiar to you, since it is the company that casinos that accept U.S. players use most often for powering their games. While slots are this company’s specialty, RTG also develops all of the other frequently played casino games. The emphasis is on quality rather than quantity, so RTG casinos, like Royal Ace, aren’t huge, but somehow they manage to provide most gamblers with a more than satisfactory number and combination, not only of slot games, but also of their other favorite games. If you are a high roller, you might particularly like what Royal Ace Casino has to offer. With a minimum deposit of $50 and otherwise unheard of Welcome Bonus offer where players can make their first deposit whatever they want, and the casino will match it 100%, clearly this is not a place that turns away big action. Does the no cap “sky’s the limit” invitation mean you can deposit $1 million and the the casino will give you a million dollar bonus? Maybe, but even if you have that kind of money, taking that kind of a gamble is foolish because in order to cash the winnings (not the bonus), you would need to wager $60 million! Some players take it for granted that just because their online casino is open 24/7, Customer Support is also open 24/7, only to have a rude awakening when they call, say at 2 a.m., and get no answer. At Royal Ace Casino, you can reach a customer service representative via live chat, phone, or email whenever you need assistance, any hour of the day or night. English is the only supported language. Royal Ace Casino contains a few less slots than sister casino Planet 7, but otherwise the games are virtually identical. The 140 slots include everything you would expect: 3-reel slots, 5-reel video slots, including those from the Real Series, which are many players’ favorites, and a handful of progressive jackpot slots. 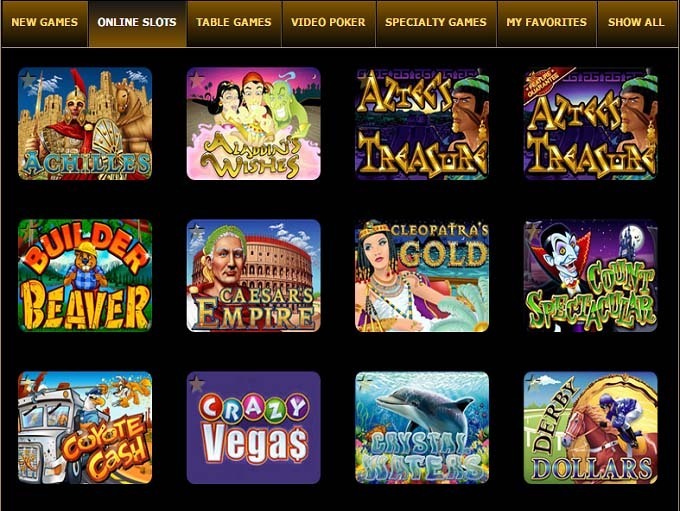 The other game categories are video poker, table games, and specialty games. Roulette, surprisingly, is classified as a specialty game, rather than as a table game. One form of roulette that you should never play is American Roulette. The extra double zero on the wheel increases the house edge to 5.26%. You are better off playing European or French Roulette, with only a single zero on the wheel. French Roulette, as offered at this casino, is actually your best option, since it is played with the La Partage rule. When the ball lands on zero, players who have made an even money bet get half of their bet returned to them. The house edge on European Roulette is 2.70%, but on French Roulette it is only 1.35%. 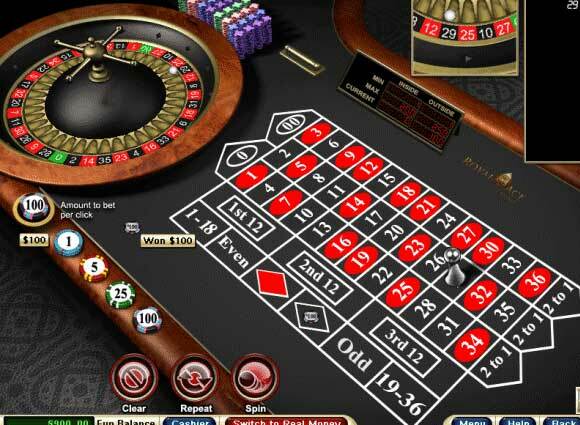 Some online players prefer Multiplayer Roulette, since not playing alone gives the game more of a real casino vibe. As long as it is not American Roulette, go ahead and try it. Banking is an area where casinos that accept American players generally fall short, and Royal Ace is no exception. For starters, there are not enough options for either deposits or withdrawals. The deposit options at Royal Ace Casino are limited to MasterCard, Visa, American Express, NETELLER, and Bank Transfer. The withdrawal options are even fewer: NETELLER, Bank Wire, and check. The second problem is the length of time to process withdrawals. According to the website, there is an initial waiting period of 3 business days for withdrawal requests to be approved, followed by 10-14 additional business days for the customer to receive the money. These time frames are longer than the norm. The minimum withdrawal is $100 and the maximum per week is $2,500. Royal Ace 7 Casino, like its affiliates, is licensed in Costa Rica. Unfortunately, no information is included on the website regarding average game payouts. However, reasonable confidence regarding the fairness of the games comes from another reliable source. All of the games have been certified for fairness by Gaming Laboratories International. Security is another feature which you can feel very comfortable about. The casino uses advanced encryption technology comparable to what banks use, thereby ensuring that all financial transactions on the site are fully protected. 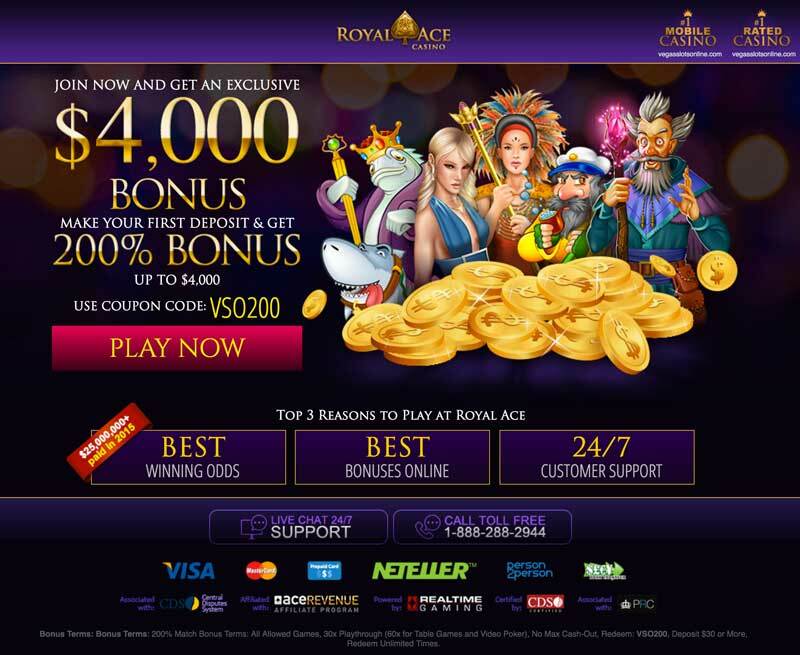 >> Join Royal Ace Casino and Get Your Bonus!